Focusing on the dichotomous and comparative analysis of the legitimacy, paradigm, and operating frames of bank governance and its reproduction in the new financial regime following the global financial crisis, this book examines in depth how corporate governance in bank institutions is legitimized, justified, and delivered in diversified financial models and their influences on the Chinese banking industry. By combining this type of financial model analysis with the new institutionalism theory, the book lifts the mysterious veil from corporate governance in Chinese banking institutions with regard to its establishment and constant changes. 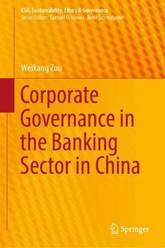 Through a kaleidoscope lens and by conducting a layer by layer diagnosis, the book tells the background stories of the complex settings for Chinese financial institutions, asks and answers the paradigmatic question of for whom banks are actually run and governed, and mind-maps the main corporate governance mechanisms and practices prevalent in Chinese banks. 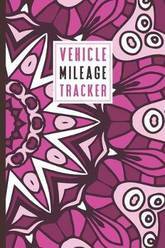 This edition has been completely revised to reflect the 2017 Act and developments through August 2018. 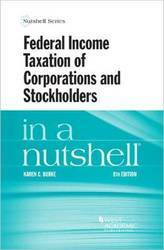 The text focuses on the corporation as a taxable entity and tracks the corporate life cycle from incorporation through complete liquidation. It includes discussion on nonliquidating distributions, redemptions, and stock dividends. It also addresses advanced problems in corporate taxation, such as taxable acquisitions, tax-free reorganizations and corporate divisions, and carryover of corporate tax attributes. Small jurisdictions have become significant players in cross-border corporate and financial services. 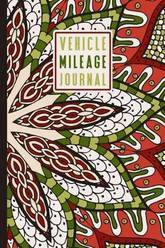 Their nature, legal status, and market roles, however, remain under-theorized. Lacking a sufficiently nuanced framework to describe their functions in cross-border finance - and the peculiar strengths of those achieving global dominance in the marketplace - it remains impossible to evaluate their impacts in a comprehensive manner. 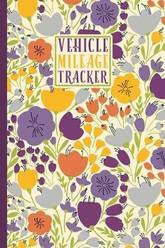 This book advances a new conceptual framework to refine the analysis and direct it toward more productive inquiries. Bruner canvasses extant theoretical frameworks used to describe and evaluate the roles of small jurisdictions in cross-border finance. 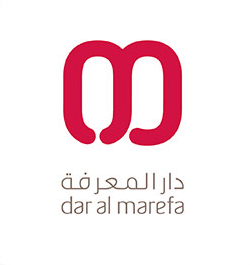 He then proposes a new concept that better captures the characteristics, competitive strategies, and market roles of those achieving global dominance in the marketplace - the market-dominant small jurisdiction (MDSJ). Bruner identifies the central features giving rise to such jurisdictions' competitive strengths - some reflect historical, cultural, and geographic circumstances, while others reflect development strategies pursued in light of those circumstances. 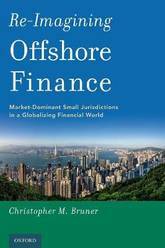 Through this lens, he evaluates a range of small jurisdictions that have achieved global dominance in specialized areas of cross-border finance, including Bermuda, Dubai, Singapore, Hong Kong, Switzerland, and Delaware. Bruner further tests the MDSJ concept's explanatory power through a broader comparative analysis, and he concludes that the MDSJs' significance will likely continue to grow - as will the need for a more effective means of theorizing their roles in cross-border finance and the global dynamics generated by their ascendance. 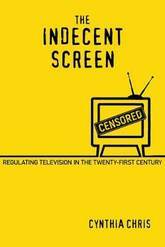 The Indecent Screen explores clashes over indecency in broadcast television among U.S.-based media advocates, television professionals, the Federal Communications Commission, and TV audiences. Cynthia Chris focuses on the decency debates during an approximately twenty-year period since the Telecommunications Act of 1996, which in many ways restructured the media environment. Simultaneously, ever increasing channel capacity, new forms of distribution, and time-shifting (in the form of streaming and on-demand viewing options) radically changed how, when, and what we watch. But instead of these innovations quelling concerns that TV networks were too often transmitting indecent material that was accessible to children, complaints about indecency skyrocketed soon after the turn of the century. Chris demonstrates that these clashes are significant battles over the role of family, the role of government, and the value of free speech in our lives, arguing that an uncensored media is so imperative to the public good that we can, and must, endure the occasional indecent screen. A surprising and revealing look at what Americans really believe about taxes Conventional wisdom holds that Americans hate taxes. But the conventional wisdom is wrong. Bringing together national survey data with in-depth interviews, Read My Lips presents a surprising picture of tax attitudes in the United States. Vanessa Williamson demonstrates that Americans view taxpaying as a civic responsibility and a moral obligation. But they worry that others are shirking their duties, in part because the experience of taxpaying misleads Americans about who pays taxes and how much. Perceived loopholes convince many income tax filers that a flat tax might actually raise taxes on the rich, and the relative invisibility of the sales and payroll taxes encourages many to underestimate the sizable tax contributions made by poor and working people. 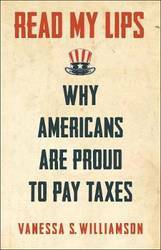 Americans see being a taxpayer as a role worthy of pride and respect, a sign that one is a contributing member of the community and the nation. For this reason, the belief that many Americans are not paying their share is deeply corrosive to the social fabric. The widespread misperception that immigrants, the poor, and working-class families pay little or no taxes substantially reduces public support for progressive spending programs and undercuts the political standing of low-income people. At the same time, the belief that the wealthy pay less than their share diminishes confidence that the political process represents most people. Upending the idea of Americans as knee-jerk opponents of taxes, Read My Lips examines American taxpaying as an act of political faith. Ironically, the depth of the American civic commitment to taxpaying makes the failures of the tax system, perceived and real, especially potent frustrations. The popular handbook to estate planning, now updated for 2018 Since its first publication in 2002, New Rules for Estate, Retirement, and Tax Planning has sold more than 40,000 copies, providing a solid, accessible introduction to estate planning for any age or income bracket. 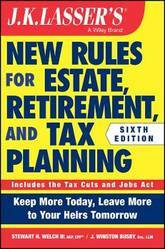 Now in its sixth edition, Estate, Retirement, and Tax Planning continues this tradition, covering such topics as trusts, donations, life insurance, and wills in easy-to-understand language that offers valuable insights and solid strategies to help you preserve your wealth and plan your estate so that your assets go where you want with a minimum of taxes and government interference. This comprehensive guide answers such common questions as: How much do I need to retire comfortably? How do I protect my children's inheritance? 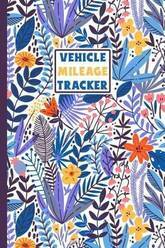 How do I ensure planned donations are made after I'm gone? And many more. The Sixth Edition is also fully updated to reflect changes following the 2018 Tax Cuts and Jobs Act, so that you can learn how new regulations could impact your inheritance and trusts. 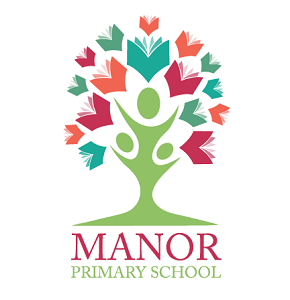 Other notable features include advice on working with elderly parents and introducing financial planning to children and teenagers, in addition to a list of professional advisers and a glossary of estate planning terms. Understand estate planning and obtain solid strategies for growing your wealth Explore asset protection and succession planning strategies Discover how recent updates to the tax code could affect you and your heirs Stay informed of any relevant law changes with an author-managed web site Estate, Retirement, and Tax Planning contains a wealth of valuable information for any adult who needs help planning their financial future, from the established professional heading toward retirement, to the young adult looking to understand the basics. Wherever you are in your journey, use Estate, Retirement, and Tax Planning to ensure your legacy is protected. 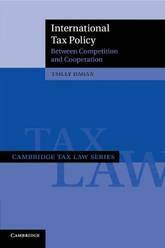 This user-friendly book aims to summarize the principal topics of Chinese Taxation and offers readers a general overview of the Chinese Taxation and informative updates on tax changes. 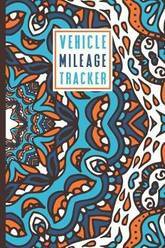 The book provides a variety of facts, figures, graphs and data in an easy-to read table format. 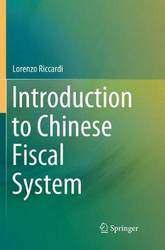 Firstly, the book proposes an introduction to taxation and to the Chinese tax system, secondly, it focuses on direct taxes, indirect taxes and other taxes and, in the end, it covers international taxation. Moreover, the book offers a quick overview of the Chinese M&A taxation and of the Chinese Free Trade Zones. 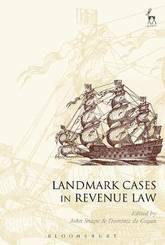 In an important addition to the series, this book tells the story of 20 leading revenue law cases. It goes well beyond technical analysis to explore questions of philosophical depth, historical context and constitutional significance. The editors have assembled a stellar team of tax scholars, including historians as well as lawyers, practitioners as well as academics, to provide a wide range of fresh perspectives on familiar and unfamiliar decisions. The whole collection is prefaced by the editors' extended introduction on the peculiar significance of case-law in revenue matters. This publication is a thought provoking and engaging showcase of tax writing that is accessible equally to specialists and non-specialists. The number 1 guide to organising your finances - and making your money go further. For 14 years, John Lowe's finance annual has helped thousands of people get to grips with the basics of budgeting and learn how to save cash in all areas of their lives. Now, The Money Doctor is back to give Ireland's consumers and business owners the tips they need to make the most of 2019. This new edition will focus in particular on the most important issue in the country: property. It will cover all aspects of the property market, making it invaluable for anyone looking to buy a house, and will include information on social housing and new legislation in the rental sector. 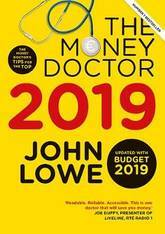 Whether you buy this book every year or you're just in need of a fresh perspective on your finances, you can trust The Money Doctor to give independent, straight-talking advice. 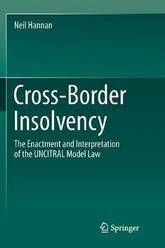 This book examines the effect of the adoption of the United Nations Committee on International Trade Law (UNCITRAL) Model Law on Cross-Border Insolvency in five common law jurisdictions, namely Australia, Canada, New Zealand, the United Kingdom, and the United States of America. It examines how each of those states has adopted, interpreted and applied the provisions of the Model Law, and highlights the effects of inconsistencies by examining jurisprudence in each of these countries, specifically how the Model Law affects existing principles of recognition of insolvency proceedings. The book examines how the UNCITRAL Guide to enactment of the Model Law has affected the interpretation of each of its articles and, in turn, the courts' ability to interpret and hence give effect to the purposes of the Model Law. It also considers the ability of courts to refer to amendments made to the Guide after enactment of the Model Law in a state, thereby questioning whether the current inconsistencies in interpretation can be overcome by UNCITRAL amending the Guide. Bringing a unique voice to international taxation, this book argues against the conventional support of multilateral co-operation in favour of structured competition as a way to promote both justice and efficiency in international tax policy. Tsilly Dagan analyzes international taxation as a decentralized market, where governments have increasingly become strategic actors. While many of the challenges of the current international tax regime derive from this decentralized competitive structure, Dagan argues that curtailing competition through centralization is not necessarily the answer. Conversely, competition - if properly calibrated and notwithstanding its dubious reputation - is conducive, rather than detrimental, to both efficiency and global justice. International Tax Policy begins with the basic normative goals of income taxation, explaining how competition transforms them and analyzing the strategic game states play on the bilateral and multilateral level. 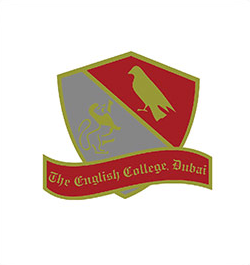 It then considers the costs and benefits of co-operation and competition in terms of efficiency and justice. Tax authorities face the challenge of influencing tax compliance by behaving in such a way that taxpayers perceive to be treated fairly and thus comply voluntarily with tax rules. In order to meet this challenge it is crucial that institutions such as tax authorities frequently interact with taxpayers and selectively apply instruments so that a sustainable basis of trust in taxation is created. At the same time, tax authorities need to have the capacity to adjust to a rapidly changing technological, political and economic environment. This volume presents the edited version of papers presented on the conference 'Tax and Trust' held in Rotterdam, the Netherlands in October 2017, and some additions. 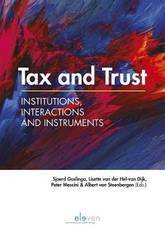 The contributions offer reflections on the role played by institutions, interactions and instruments in the intricate relation between tax and trust. 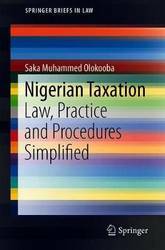 Tax and Trust will be of interest to policy makers and scholars in the field of taxation and tax compliance. 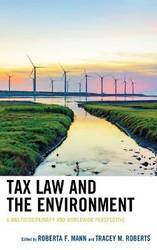 The broad focus makes the book also relevant to other policy makers and scholars interested in regulatory policy. 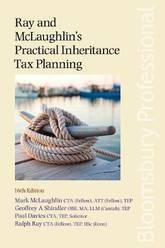 Ray and McLaughlin's Practical Inheritance Tax Planning, 16th Edition is a long-established first port of call for private client advisers working with clients on inheritance tax planning engagements. The practical commentary addresses the main planning points, potential pitfalls and possible solutions for IHT and estate planning purposes. 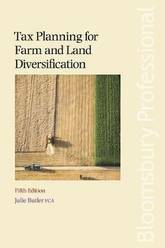 Since the previous edition this latest title picks up on the important changes to HMRC practice, new case law and legislation, including in relation to deemed domicile and excluded property as introduced in Finance (No 2) Act 2017. New updates include: - New and amended commentary and examples on the domicile changes introduced following Royal Assent to Finance (No 2) Act 2017 - Updated commentary on the excluded property restrictions in respect of overseas property with value attributable to UK residential property, as introduced in Finance (No 2) Act 2017 - Commentary on the expanded reporting requirements for IHT purposes under the disclosure of tax avoidance schemes (DOTAS) provisions - New and updated commentary on compliance, including the `requirement to correct' certain offshore tax non-compliance - New cases, including Henderson & Others v HMRC (domicile); The Personal Representatives of Grace Joyce Graham (Deceased) v HMRC, Williams and others (executors of Duncan Stewart Campbell deceased) v HMRC (business property relief); Whitlock and Anor v Moree (Bahamas) (joint accounts). Mark McLaughlin is a consultant with Mark McLaughlin Associates Ltd (www.markmclaughlin.co.uk), and also The TACS Partnership (www.tacs.co.uk). He is a fellow of the CIOT and ATT, a member of STEP and a member of the CIOT's Succession Taxes and CGT and Investment Income Sub-Committees. Mark has written many tax publications and articles, including `McLaughlin's Tax Case Review' (www.taxinsider.co.uk) and is Co-Founder of TaxationWeb (www.taxationweb.co.uk). Geoffrey Shindler OBE has specialised in the area of capital taxes, trusts and wills for 40 years. He is the editor of Trusts and Estates Law & Tax Journal, Trust Drafting and Precedents (Looseleaf, Bloomsbury Professional) and a member of the Editorial Board of Wills & Trusts Law Reports and The Conveyancer and Property Lawyer. Paul Davies is a partner in the private client team of DWF LLP solicitors in Manchester. 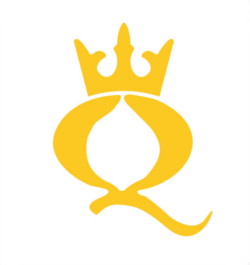 He is a member of the CIOT and STEP, and practised briefly as a chartered accountant prior to qualifying as a solicitor in 2003. 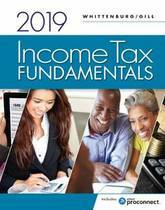 Learn the complexities of the U.S. income tax code and master the most important areas of tax law with Whittenburg/Gill's concise, practical INCOME TAX FUNDAMENTALS 2019. This market-leading introduction to tax preparation uses a unique, step-by-step workbook format that integrates actual tax forms. You have the option to use Intuit ProConnect 2018 tax preparation software that accompanies each new book. A clear, up-to-date presentation walks you through real, current examples using the most recent actual tax forms. A variety of end-of-chapter problems offer hands-on practice with tax return problems that use source documents identical to those of real clients. In addition, numerous study tools and powerful online resources, including MindTap digital support and the CengageNOWv2 online homework tool, help you further refine the knowledge and skills to become a successful tax preparer. 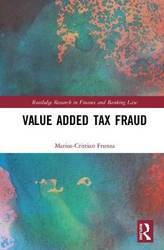 Serving as an introduction to one of the hottest topics in financial crime, the Value Added Tax (VAT) fraud, this new and original book aims to analyze and decrypt the fraud and explore multi-disciplinary avenues, thereby exposing nuances and shades that remain concealed by traditional taxation oriented researches. Quantifying the impact of the fraud on the real economy underlines the structural damages propagated by this crime in the European Union. The `fruadsters' benefit when policy changes are inflicted in an economic space without a fully fledged legal framework. Geopolitical events like the creation of the Eurasian Union and 'Brexit' are analyzed from the perspective of the VAT fraud, thereby underlining the foreseeable risks of such historical turnarounds. In addition, this book also provides a unique collection of case studies that depict the main characteristics of VAT fraud. Introduction to VAT Fraud will be of interest to students at an advanced level, academics and reflective practitioners. 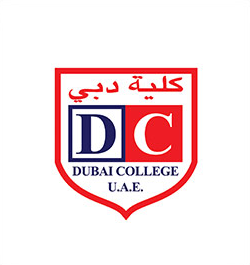 It addresses the topics with regards to banking and finance law, international law, criminal law, taxation, accounting, and financial crime. It will be of value to researchers, academics, professionals, and students in the fields of law, financial crime, technology, accounting and taxation. 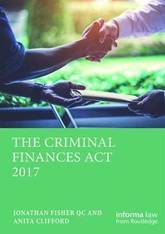 The Criminal Finances Act 2017 introduced the most radical change to tackling money laundering and corruption, recovering the proceeds of crime and counter terrorist financing, since the Proceeds of Crime Act was passed in 2002. 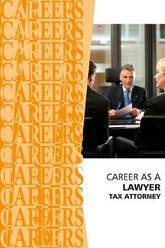 This book will provide an excellent commentary on the changes introduced by the Act, with practical insights and an explanation of the Act's provisions. 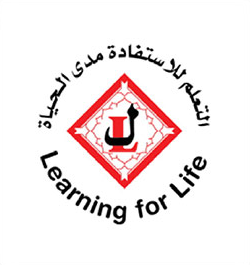 Topics included are: money laundering; unexplained wealth orders; terrorist property; tax evasion; and reasonable prevention procedures. Authored by Jonathan Fisher QC and Anita Clifford, barristers specializing in proceeds of crime and financial crime cases, this book will be of great interest and importance to all legal professionals working in the financial sector. Effective strategies for non-profit entities in a profit-based world Joint Ventures Involving Tax-Exempt Organizations examines the procedures, rules, and regulations surrounding joint ventures and partnerships, emphasizing tax-exempt status preservation. 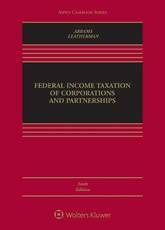 Revised and updated to align with current 2017 Tax Act, this supplement offers expert interpretation and practical guidance to professionals seeking a complete reference, including an analysis of impact of the siloing of the UBIT rules, the new Opportunity Zone Funds which will incentivize investors in designated census tracts, inter alia. Sample documents enable quick reference and demonstrate real-world application of new laws and guidelines. 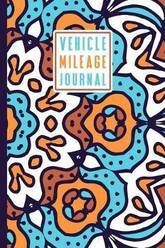 The discussion delves into planning strategies that can be applied to joint ventures and partnerships while maintaining tax-exempt status, and which joint ventures are best suited for a particular organization. Widely accepted business strategies for profit-based entities, joint ventures, partnerships, and alliances are increasingly being used by nonprofits in need of additional financial support in challenging economic environments. 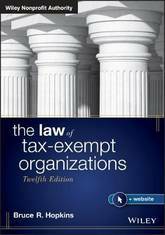 This book provides invaluable guidance to appropriate planning and structuring while complying with tax-exemption guidelines. Identify the most appropriate transactions for nonprofit organizations Recognize potential problems stemming from debt restructuring and asset protection plans Reference charitable organization, partnerships, and joint venture taxation guidelines Understand which joint venture configurations are best suited to tax-exempt organizations Joint ventures and partnerships are currently employed by a variety of not-for-profit organizations while maintaining their tax-exempt status. Hospitals, research laboratories, colleges and universities, charter and special-needs schools, low-income housing developments, and many others are reaping the benefits of joint venture participation--but without careful planning and accurate interpretation of current laws, these benefits can be erased by loss of tax-exempt status. 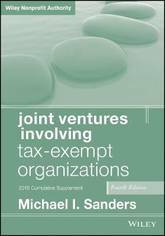 Joint Ventures Involving Tax-Exempt Organizations provides practical, up-to-date guidance on realizing the full benefits and avoiding the hazards unique to nonprofit organizations. Students in various disciplines-from law and government to business and health policy-need to understand several quantitative aspects of finance (such as the capital asset pricing model or financial options) and policy analysis (e.g., assessing the weight of probabilistic evidence) but often have little quantitative background. This book illustrates those phenomena and explains how to illustrate them using the powerful visuals that computing can produce. 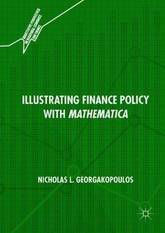 Of particular interest to graduate students and scholars in need of sharper quantitative methods, this book introduces the reader to Mathematica, enables readers to use Mathematica to produce their own illustrations, and places specific emphasis on finance and policy as well as the foundations of probability theory.